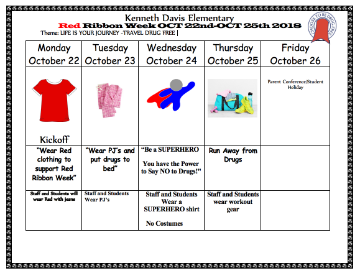 Red Ribbon Week -THIS WEEK! This is a fun week that students can dress up to support saying NO to drugs! You have the Power to Say NO to Drugs! Thursday - Wear workout gear to Run Away from Drugs!